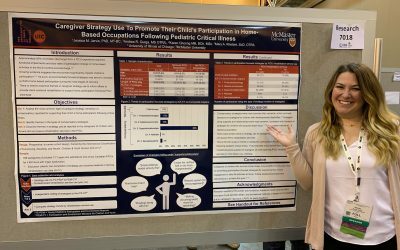 We at the Children’s Participation and Environment Research Lab (CPERL) care about advancing client-centered care and outcomes in pediatric (re)habilitation. Lab members harness technology to build innovative tools that can accelerate family-engaged and participation-focused care planning and outcomes monitoring with individuals, organizations, and service systems that need quality common data elements to conduct patient-centered research for continuous quality improvement. On this website, you can find information on the types of rewarding multi-site and interdisciplinary research projects we engage in and disseminate, the diverse talents of team members and collaborators, and our contact information if you want more information or wish to apply for a mentored training experience in our lab. Thank you for your interest in our work!